James “Chip” Wallace, III passed away peacefully on Monday, November 5, 2018 at Meritus Medical Center of Hagerstown, MD. He was born Tuesday, May 22, 1962 in Ohio to James Andrew Wallace, Jr. and Patricia Cusker Wallace. Chip was loved dearly by his wife and best friend Kelly Queen Wallace and granddaughter Trinity Smith. He will be greatly missed by a band of brothers who were his lifelong friends, confidants and co-conspirators. 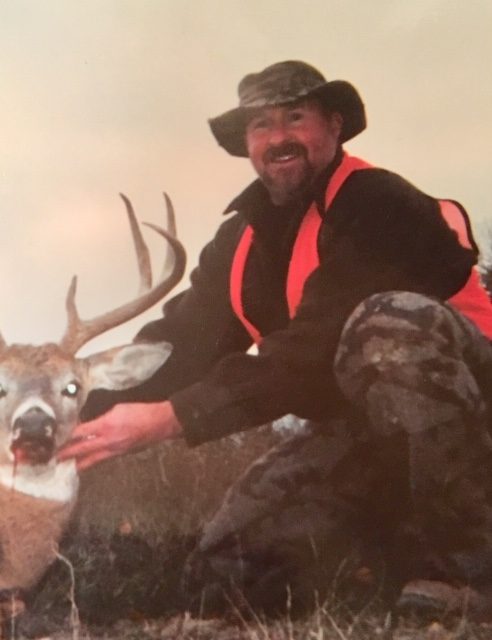 He enjoyed hunting, fishing, hiking and spending time with those he loved. He will be missed by his siblings, Laurie, Jeff and Jennifer, his nieces and nephews Drew and Brittany Sexton, Chaz and Jordan Sexton, Alexis Sexton, Nicholas Zeiner, and Jessica Wallace, mother-in-law and father-in-law, Kathy and Richard Queen and many loving aunts, uncles and cousins. Chip joins his parents as well as precious nephews, Joshua Zeiner and Nicholas Branham, in eternity. A visitation / viewing will be held Saturday, November 10, 2018 from 2-4pm at J.L. Davis Funeral Home, Smithsburg, MD. Services and burial will be private and at the convenience of the family. Online condolences may be offered to the family at, www.jldavisfh.com.